I’ve been using a white noise machine to fall asleep for five years now, ever since my freshman year of college. At first, I’ll admit, I thought it was a little over-the-top. I fell asleep pretty easily — not always immediately, but fast enough — and thought throwing a weird, hissing machine into the mix would only make things worse. My roommate wanted to try it, though, and within the first few weeks, we were both hooked. The machine I had then, which is the one I still use today, sounds like a mixture of waves hitting sand and a soft wind, or like a long, rising-and-falling “shhh” sound. Even when I moved to quieter rooms, and then out of college altogether, the white noise was always what made me comfortable enough to fall asleep. Sometimes, I needed it even more in rooms that were totally silent; the quiet made me even more on edge. The white noise, though, seemed to absorb any small sounds that might break through the silence and made falling asleep almost effortless. 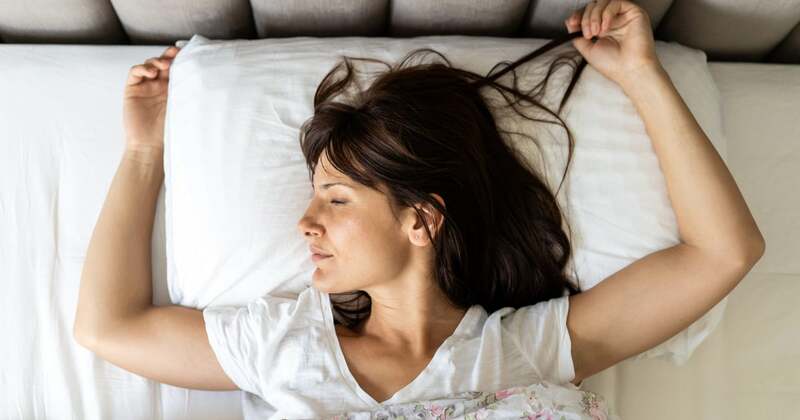 That comfort and familiarity is a key reason why white noise works as a sleep aid, according to Rafael Pelayo, MD, a professor of psychiatry and behavioral sciences at the Stanford Center for Sleep Sciences and Medicine. The noise itself is simply a combination of all frequencies of sound played at the same volume so that “it sounds like a din, a background noise,” Dr. Pelayo explained. That sound is an effective sleep aid, he said, because people sleep best in a place of serenity and calm. “The reason that we fall asleep in monotonous environments is not because we’re bored, it’s because boredom or monotony implies safety.” Familiar background noises, like white noise, can induce those same feelings of familiarity that tell your brain it’s OK to fall asleep now because you’re in a recognizable, and therefore safe, environment. Probably the benefit most of us associate with white noise is how effectively it blocks out other noises: the loud, sudden ones that might wake you up. Dr. Pelayo explained that what white noise really affects is your “arousal threshold,” or the amount of stimulation, like noise, it takes to wake you from sleep. That varies from person to person and from situation to situation, he said; you might be shocked into waking up if someone whispered in your ear, but be able to sleep through sirens or slamming doors if you’re used to those. Unless your brain judges the noise as dangerous or unfamiliar, Dr. Pelayo explained, it decides that sleeping is more important. “What the white noise machine does is raise the volume of the background noise,” Dr. Pelayo said. It lowers the difference between the outside unwanted noise, like a siren on the street, and the white noise in the background, which you already associate with safety and familiarity. “So with a white noise machine, loud noises are less jarring to you and don’t hit the arousal threshold and wake you up,” he said. When Should You Use a White Noise Machine? It’s no surprise then that white noise machines are a great tool if you’re trying to sleep in an area with lots of unexpected noises. Dr. Pelayo said that the “surprise factor” of the noise is even more important than the volume of it, which might be why it was harder for me to sleep in extremely quiet rooms where I could hear even the quietest sounds very clearly than in rooms with a low level of background noise. You also might be able to sleep through a loud noise if you’re used to it, but it’s the unexpected ones that will shock you from sleep and that white noise will help to cover up. “The main thing is that we have to feel familiar with something and associate it with sleep,” Dr. Pelayo said. If unexpected noises are keeping you on edge and messing with your shut-eye, click through for a few white noise machines that might just help.